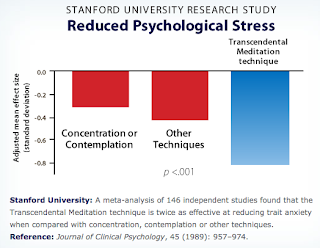 MeditationAsheville.org • Transcendental Meditation Courses • Free Introductory Lectures: Myth #9: Meditation can have negative side effects and make you go crazy! Myth #9: Meditation can have negative side effects and make you go crazy! 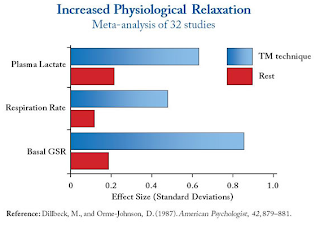 The deep, coherent rest gained during TM practice has been found by medical and health researchers, in hundreds of peer-reviewed clinical studies, to have only positive benefits. More than 20,000 TM-practicing subjects have been studied by scientists over the past 40 years, and no credible published studies on the TM technique have ever found the practice to be unpleasant or harmful in any way — all such studies show positive results. That's why leading physicians and medical professionals continue to speak out in favor of TM — such as Dr. Mehmet Oz; renowned author, senior NIH scientist and psychiatrist Norman Rosenthal; NIH researcher and Discovery Channel Doctor Pamela Peeke, M.D., along with medical and health researchers at NYU, Harvard, University of Kentucky, Stanford, Medical College of Georgia and many other institutions (see www.DoctorsOnTM.org). Because of the extensive supportive research and positive health outcomes, the TM technique is the only meditation practice recommended by the American Heart Association. No Negative Side-effects: Professionally controlled clinical research on the effects of TM practice has been conducted under a wide variety of settings and conditions: on general populations, people in the workplace, athletes, groups of students at all grade levels, patients at high-risk for heart disease, students with learning disorders, factory workers, members of the military, groups of corporate executives, new meditators, long-term meditators on advanced courses, and people with pre-existing mental health problems. All these studies show significant improvements in mental and physical health, with no negative side effects. About 50 of these studies were randomized controlled trials (it takes only 2 positive RTCs in a phase III trial for the FDA to approve a drug as safe). Since the 1970s, anti-meditation activists have been soliciting worldwide for testimonials from people who believe they had bad or harmful experiences as a result of practicing the TM technique. 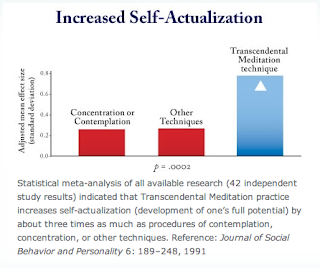 After all this time, how many testimonials (real people with names and identities) have they now collected to post online — people asserting that their meditation practice was the reason for some mental or physical distress that they experienced in their life? A dozen or so, at best, and there's no clinical documentation to substantiate even these few claims. How many people have learned TM over the last 50 years? About 6 million. This small handful of critics has helped demonstrate (along with the hundreds of scientific research studies) the TM technique's all-positive effects. 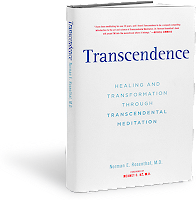 Some things are just good for you: For thousands of years, the experience of transcendental consciousness has been cherished in cultures around the world as a means to relieve suffering and awaken the field of order, creativity and intelligence that resides within all of us. Deep rest is good for you. Gaining inner peace is good for you. Reducing stress is healthy — in fact, it's lifesaving. More coherent brain waves are very, very healthy. It's that simple. • GOVERNMENT FUNDING: The National Institutes of Health has provided $26 million over the past 20 years to document TM's benefits for heart health and brain functioning. The Veteran's Administration in Washington, D.C., has granted more than $2 million to research the effects on TM practice on veterans suffering from post traumatic stress. Why? Because of a 40-year precedence of solid, promising research studies on TM showing benefits—with no trend of negative side effects recorded. • MEDICAL DOCTORS: The American Medical Association, representing 140,000 medical doctors, has published and promoted research showing that the TM technique improves high blood pressure, diabetes, and obesity. 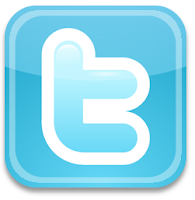 The AMA has also offered professional credit (CME) for doctors to take classes in TM. • PSYCHOLOGISTS: The American Psychological Association, at its annual conferences, regularly features research on the benefits of the TM technique for improving overall mental health. • SCIENTIFIC REVIEW: THE INTERNAL REVIEW BOARD at American University in Washington, D.C., comprised of a team of independent university physicians and scientists, conducted an exhaustive review of all existing scientific research on the TM technique and thoroughly considered the information found on various alternative Internet sites — pro and con. The board unanimously agreed that the technique was safe, had no negative side effects, and should be learned by 300 college students from American University, Georgetown University, George Washington University, and University of District of Columbia as part of a carefully controlled, two-year study examining the effects of the technique on student life. 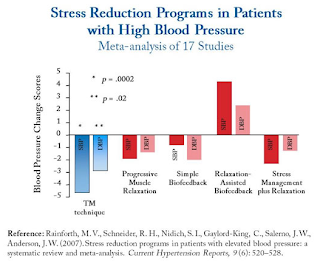 The study was completed and the results published in peer-reviewed scientific journals — showing that the technique reduces stress, improves health and strengthens brain functioning. 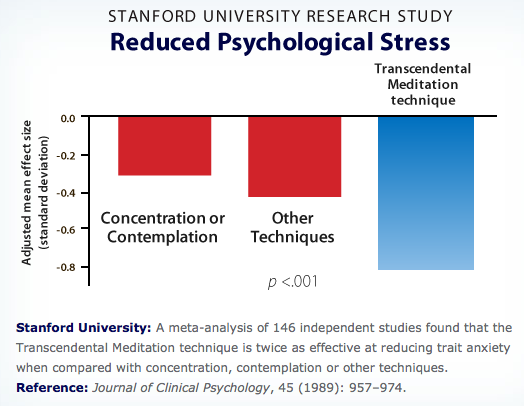 What about studies that critics claim show harmful effects from meditation?